One owner. Dealer maintained and serviced. Fully inspected ($70,180 orig. msrp). 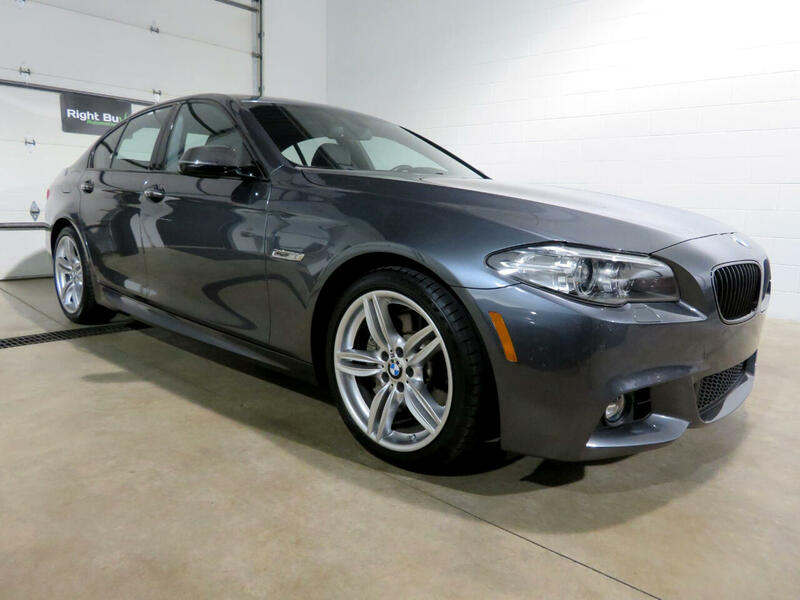 This 535i xDrive is the M Sport model and features the Cold Weather Package, Driver Assistance Package and Premium Package. Some of the features included are leather heated power seats w/ memory; heated sport leather steering wheel; heated rear seats; dual zone climate control; moonroof; navigation; bluetooth audio/phone; heads up display; power tailgate; rear view camera; park distance control; auto leveling adaptive HID headlights; LED foglights; rain sensing wipers; auto dimming rearview mirror; comfort access key less entry; Harmon Kardon surround sound; aluminum hexagon interior trim; anthracite headliner; 19" alloy double spoke wheels; retractable headlight washers; carbon fiber rear spoiler; all wheel drive and much more. Every vehicle at Right Buy comes with a full inspection report CarFax vehicle history report affordable extended warranty options and low rate financing options. Set an appointment to view the vehicle in our heated indoor show room.12 MONTH 12K MILE EXTENDED WARRANTY AVAILABLE FOR $2,210 or 3 YEAR 36K MILES FOR $2,595.